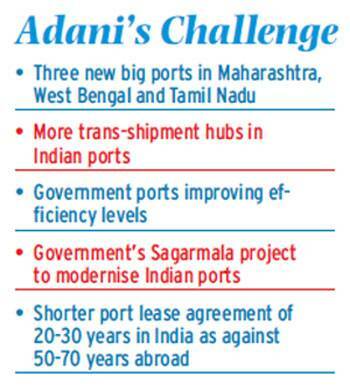 Gautam Adani's port empire has expanded dramatically in the past decade. But it also faces challenges. Karan Adani gives away very little in his interactions. But the elder son of Gautam Adani, a management graduate from Purdue University in the US, who was elevated from Executive Director to CEO of Adani Ports and SEZ Ltd (APSEZ) in January this year, is upfront about his intention to make the company - already the country's leading private port operator - even bigger. "We are planning not only for the biggest vessels which are plying the seas right now, but also for bigger ones still on the drawing board," he says. The reference is to the new port of Vizhinjam the company is building in Kerala. The Rs 7,525-crore project, a collaborative effort with the Kerala government and set for completion before 2020, will have a capacity of 3.5 million TEU (twenty foot equivalent units - a standard measure of ship and port sizes), expandable to 4.3 million TEU and allows for a draft (the maximum a ship can sink into the water on loading) of 18.5 metres. (In comparison, Mundra port has a capacity of 2.77 million TEU, while the total Indian port capacity put together is 11 million TEU.) Karan Adani was deeply involved in the negotiations with the Kerala government that finally led to the port being awarded to his group. He wants Vizhinjam to be a truly global trans-shipment hub, rivaling the biggest in the region, Colombo. The Sri Lankan capital's port costs are currently much lower than India's, but that does not bother him. "We are looking to compete with Colombo both on operational efficiency and cost," he says. "At Vizhinjam, we'll have the flexibility to charge rates that will be competitive with Colombo." Another Karan Adani preoccupation is inland waterways - and the impact their improvement could have on his business. At the earnings' conference call of the company's top management with analysts in February, the only time he spoke was when waterways were mentioned. "We see a potential of almost 30 MMT (million metric tonne) of cargo, which can move through inland waterways," he said. Being the only player in the sector with ports all along the country's coastline, APSEZ is uniquely placed to utilise waterways to its advantage, more so if they are developed further under the Sagarmala programme, aimed at improving the infrastructure of ports that was announced by the government in March last year. 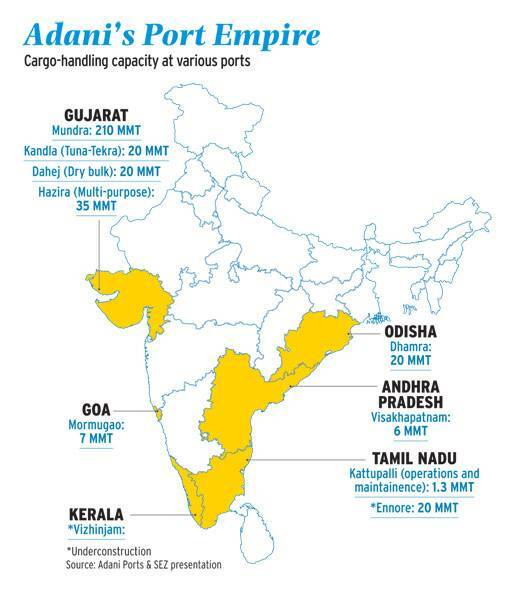 Starting with the takeover of a single jetty in Mundra, Gujarat, in 1994, APSEZ now operates 14 terminals across 10 ports (including two partially built ones, Vizhinjam and the container depot of Ennore in Tamil Nadu) in six states. It is building a new container terminal in Mundra in partnership with French shipping giant CMA Terminals and another in Tuticorin, in an alliance with agri-infrastructure major National Collateral Management Services Ltd (NCML). It also has two single-point mooring (SPM) facilities in Mundra to evacuate crude oil on the high seas. In comparison, global major Dubai Ports (DP) World has a presence in seven ports, while Essar, though it has eight terminals, uses them mostly for its captive cargo. The company's name has changed over the years as its activities and areas of operations increased, from Gujarat Adani Port Ltd in 1998 to Mundra Port and Special Economic Zone in 2006, when it was merged with a group company created earlier to run the SEZ Adani set up in Mundra, to APSEZ in 2012, as the company expanded way beyond Mundra and, indeed, Gujarat. It had revenues of Rs 6,838 crore and profit after tax of Rs 2,314 crore in 2014/15, a rise of 24 per cent and 33 per cent, respectively, over the previous year. Its market valuation is a whopping Rs 49,300 crore, of which promoters Adani hold 56.26 per cent. While Dhamra port in Odisha was bought from L&T Infrastructure Development Projects Ltd and Tata Steel for Rs 5,500 crore in May 2014, and Kattupalli in Tamil Nadu is still owned by L&T with APSEZ as its operator, the remaining are all greenfield projects. Together, Adani's ports handled 147 MMT, or around 15 per cent of the total cargo that passed through Indian ports in 2014/15, with Mundra alone accounting for 111 MMT. Gautam Adani's ambition, however, goes even higher - he wants 200 MMT per annum at Mundra alone by 2020, while raising capacity at all his ports taken together from 339.3 MMT per annum at present to 579.3 MMT. He is also considering buying a couple of ports overseas. Growth in the ports business will support his other interests, too - especially exports and power, given the country's dependence on imported coal. The ambition, however, will be tested against some hard realities. While Mundra remains the mainstay of the company, analysts expect Dhamra and Vizhinjam to be the new growth engines. Given the rich mineral resources of states like Odisha and Jharkhand, and their growing development needs, Dhamra has ample scope for both export of minerals and imports of crude, chemicals and liquefied natural gas (LNG). Gautam Adani has himself stated that he expects Dhamra to replicate on the east coast the success Mundra has said on the west. APSEZ is currently increasing cargo handling capacity at Dhamra four-fold - from 25 MMT per annum to 75 to 100 MMT in the next five years. "We will compete with Colombo on operational efficiency and cost"
The deep draft will also allow the largest of ships - up to 18,000 TEU - to enter Vizhinjam port, as well as reduce dredging costs. Only Mundra and the Krishnapatnam port in Andhra Pradesh - owned by the Hyderabad-based Navayuga Group - have drafts as deep. 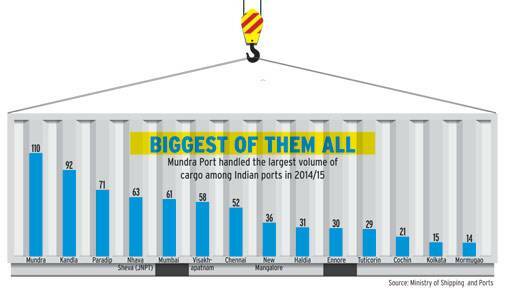 Most Indian ports cannot accommodate ships bigger than 10,000 TEU. Nor will ships have to deviate much from their route to use Vizhinjam as it is located on the Malacca-Suez Canal stretch. Despite these advantages, however, a joint feasibility study of the proposed port by EY and others, before it was awarded, came as a dampener for prospective bidders, as it predicted that breaking even for any developer would take a long time - at least till 2026. However, Adanis say it is incorrect. Luring away global carriers from the ports they are accustomed to will not be easy, more so given the bureaucratic slowness of Indian ports and the high charges. The turnaround time for a large vessel at Indian ports is going to be higher as against one day at more efficient ones, such as the Chinese ports. Even if it succeeds, revenues will not be enough unless Vizhinjam becomes a focal point for cargo reaching and leaving the country as well. "The transshipment business is not big enough," says Anil Dalvi, CEO, Indian National Shipowners Association (INSA). Not far from Vizhinjam is Vallarpadam (Cochin) port, run by DP World since 2004, capable of handling ships up to 17,000 TEU and which was also expected to function as an international transshipment terminal. It has so far belied its promise, attracting paltry volumes. "Colombo tariffs are so low and the port has so much capacity that it is not easy to get business," said Sultan Ahmed Bin Sulaye, Group Chairman and CEO, DP World, during a visit to India in January this year. Dalvi of INSA agrees. "In Colombo, transshipment requires just one or two documents, unlike in India," he says. Karan Adani, however, remains unfazed. Ports in India are divided into two categories - 13 leading ones are called "major ports" and regulated by the Centre, while around 200 others, called "minor ports" are under the jurisdiction of states. Major and minor do not necessarily indicate size - Adani's Mundra is a minor port, though it handles the largest traffic in the country, as are Krishnapatnam and Gujarat Pipavav. "Vallarpadam, being a major port, has its tariffs regulated by the Centre," says Adani. "At Vizhinjam, we will have the flexibility to be as competitive as Colombo. But the government also needs to take a second look at the structure of the taxes imposed on Indian shipping lines." Yet another source of confidence could be the Adani Group's political clout - Gautam Adani's longstanding friendship with Prime Minister Narendra Modi is well known. Vallarpadam port, for instance, had to wait several years to get cabotage charges waived. This was finally achieved in 2012 and only for a three-year period, with local shipping lines protesting loudly that the concession would affect their business. "The limited three-year relaxation did not help much because in the shipping industry, international players work on long-term contracts," says a global terminal operator, who prefers not to be named. "If the time period is limited, ships will not change their routes." In contrast, APSEZ has already managed a cabotage waiver. What does the future augur for the rest of the port empire? There is plenty of reason for optimism, especially given the emphasis APSEZ has put on improving technology and taking farsighted decisions. "Our ports work efficiently because of our focus on technology," Amit Uplenchwar, CEO and President (SEZ Operations) at APSEZ, told Business Today when he attended Make-in-India week in Mumbai. "It has enabled us to grow faster than other ports in the country and will continue." The tie-ups with global shipping lines to build terminals also assure sizeable international traffic. CMA, for example, with which APSEZ is building the new container terminal at Mundra, is the world's third-largest shipping line. The second-largest, the Switzerland-based Mediterranean Shipping Co (MSC), also opened a terminal at Mundra from January this year. (The largest is Maersk Line,owned by the AP Moller Maersk Group, which also runs Pipavav port. )Yet another terminal at Mundrais operated by DP World, whichtook it over when it acquired P&Oin 2006. "Private players have an edge over the government"
Once the CMA joint venture is complete, it will raise APSEZ's Mundra capacity from three million to around 6.5 million TEU. This will enable it to handle (as envisioned at Vizhinjam, too) vessels of up to 18,000 TEU. 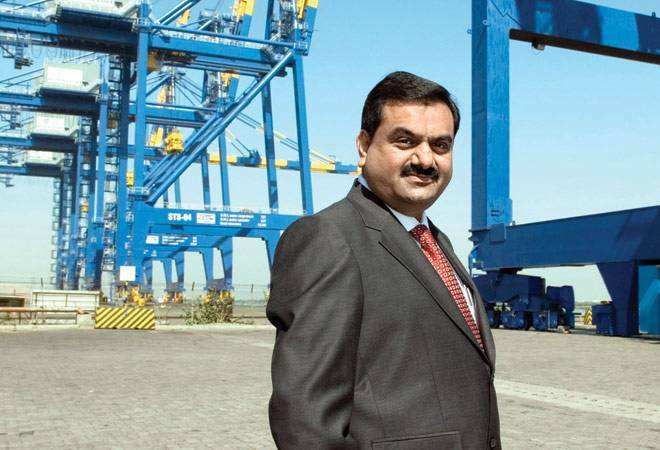 "The new terminal will make Mundra the largest container port in India and help achieve our vision of handling 200 MMT of cargo per annum by 2020," Gautam Adani said in a statement. Will there be enough cargo available to justify such capacity? Ports across the world have taken steps to ensure they have sufficient export-oriented manufacturing facilities close by. Dubai's Jebel Ali port, for instance, is fed by a free trade zone where global heavyweights such as Sony, GM and IBM have set up manufacturing units. 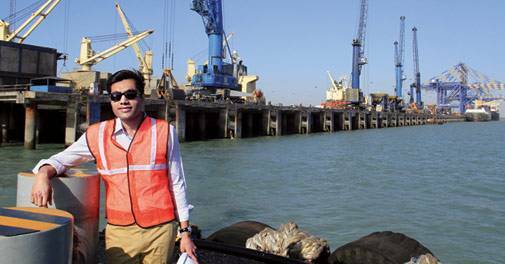 APSEZ's Mundra port, too, is fed by its own SEZ, with around 40 per cent of its cargo volume guaranteed by long-term contracts or investments made by its clients in the SEZ. But once its capacity increases, it will need more of the same. "We have started work on an electronics manufacturing cluster and a food park," B. Ravi, Chief Financial Officer, APSEZ, told analysts at the earnings conference call. "We have to create an environment in which investors and industry will come and feed our ports." No doubt, some traffic could be snatched from the nearby port of Nhava Sheva, run by the Jawaharlal Nehru Port Trust (JNPT), which faces major infrastructural problems. "Just as JNPT overtook Bombay Port decades ago because of the latter's infrastructural bottlenecks, Mundra could now give JNPT a hard time," says a port consultant who prefers not to be named. Even so, idle capacity may become an issue. Total container cargo in India is only around 10 million TEU per annum, while China's ports, in comparison, handle 185 million TEU. Some government initiatives are also likely to help. There is the possibility that cabotage may be done away with completely, considerably increasing the attractiveness of all Indian ports for foreign vessels. "The step is under active consideration," says a government official on condition of anonymity. And given the usual hurdles that plague state-run enterprises, private ports like the Adanis will be the bigger beneficiaries. 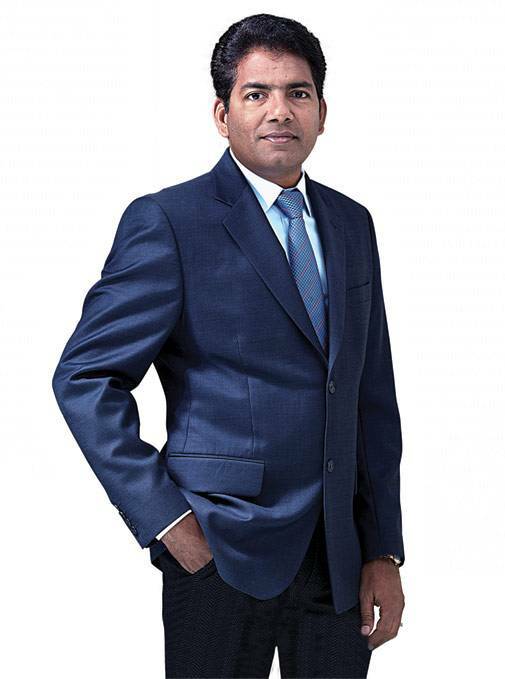 "Private players do have an edge over government-run ports," says C. Sasidhar, Managing Director, Krishnapatnam Port Co Ltd. The Sagarmala project, which is formulating a national perspective plan for the entire coastline, to support port-led development through appropriate interventions and improve port connectivity with the hinterland, will also help APSEZ. But Sagarmala has a downside for Adani as well. Under it, the Centre will be developing three big, new, highly modern ports - all of them as transshipment hubs - which will compete directly with APSEZ - Wadhawan in Maharas- htra, not far from Mundra; Sagar in West Bengal, which could affect Dhamra; and Colachel in Tamil Nadu, threatening Vizhinjam. The Rs 7,000-crore Colachel port, for instance, will have a capacity of eight million TEU, expandable to 10 million, with a draft of 20 metres - making it much bigger and deeper than Vizhinjam. Similarly, investments of around Rs 10,000 crore are planned for Wadhawan, which will also have a draft of 20 metres, deeper than Mundra. Union Minister for Road Transport and Highways Nitin Gadkari has also announced plans to invest Rs 4,000 crore in ramping up JNPT and creating an SEZ within the port area. The port recently berthed a vessel of 13,900 TEU size - which it had never managed to do before. "There is an attempt to improve productivity at the major Central government-owned ports," says Dalvi. Karan Adani can only hope that, as with many government efforts, the gap between precept and practice will remain. Finally, even as APSEZ shows healthy revenues and profits, its debt had risen to Rs 17,731 crore by 2014/15, while that of the entire Adani Group was at a worrying Rs 71,979 crore in the same year.APSEZ's margins have also shrunk lately with operating costs rising, while shipping rates remained flat. To meet the challenge, the company has been offering customers logistics solutions beyond the usual port services. "We will have terminals at Dhamra port as well as at mining sites," Karan Adani told analysts at his February interaction, suggesting that this would make transportation quicker. Shortage of skilled personnel for ports is yet another headache, to counter which APSEZ now runs its own training programme. Still, whatever the odds, the likelihood of APSEZ not only retaining but building on its numero uno position in the ports' sectors, looks very much on.